Earlier this week, the NHL announced that Adidas would be making their jerseys starting with the 2017-18 season. With the looming redesign of the jerseys, the idea of there being advertising on the jerseys in the near future has gained a lot of traction. The reaction among fans from the hockey world was not a good one. 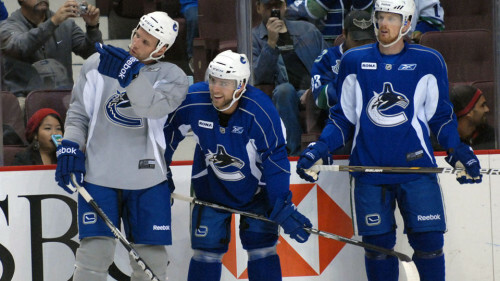 Blake Wheeler of the Winnipeg Jets was very against it, while some other players didn’t seem to mind so much. While I’m not for advertising on NHL jerseys (my colleague Andrew DiRienzo wrote why the NHL shouldn’t sell ad space on jerseys), I’m not against it either, and it sounds like the horse is close to being out of the barn on this one. 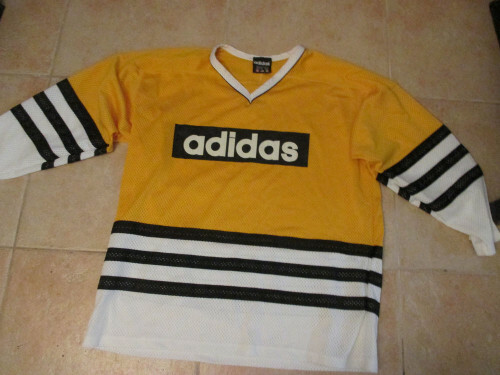 When Adidas takes over the NHL jerseys in 2017-18, they could all have the three stripe look around the bottom of the jersey, synonymous with the company’s logo. You could go to any little league baseball, softball, or soccer field across North America and see two teams wearing logos on the front of their jerseys. ‘Harry’s Discount Hardware’ (or any local business) is saving the team money by buying the jerseys for the team in exchange for the advertising spot on the front. Obviously these aren’t professionals, and saving the cost of having to buy a jersey helps any family out, but it’s a sound business concept. While the National Hockey League isn’t hurting for money, this would be a new revenue stream for a minimal overhead cost. Hockey is a game, but NHL hockey is a business just like anything else, and if there’s a way to increase the bottom line without damaging the sport, they’re going to do it. The amount of advertising sold on a jersey is also key. NHL Commissioner Gary Bettman is smart enough to not have the jerseys look like a NASCAR driver’s fire suit or a jersey from a European league (like in the title photo). The NHL jersey is arguably the nicest of all of the pro sports jerseys, and one of the reasons why the jersey is so visually appearing is the team’s logo on the front. There is absolutely no way the NHL would be stupid enough to replace the Maple Leaf’s logo with a giant Tim Hortons logo. There’s no way the Boston Bruins spoked ‘B’ would become a Dunkin Donuts logo. My guess is they would have a patch with a company logo on the upper corner on the front of the jersey (opposite of where the ‘C’ or ‘A’ would go), and maybe one of the spots on top of the shoulder. The NHL wouldn’t let their game jersey become a billboard. The NHL isn’t the first professional sport to consider selling ad space on their jersey. Soccer leagues in Europe have been doing it for over three decades (that’s more because of there not being commercials during game play in each half), and the NBA has also kicked around the idea of selling ad space on their jerseys (and they probably aren’t too far off from doing it either, they already do it on practice jerseys). MLB is a tradition-laden sport and wouldn’t be likely to do this any time soon, but they could easily put a logo on one of the sleeves and not have it become an eyesore. If you’re next thought is that the NFL doesn’t do it and they would never do it (besides practice jerseys), that’s probably right. But the NFL practically prints money and doesn’t really need the revenue stream. Nostalgia and tradition are nice, but how many of you will really stop watching because of a company logo or two on a jersey? The NHL sells the dasher boards, they sell the center ice area around the face-off circle, and just about every power play and overtime is sponsored (both in-arena and on the telecast). Will another logo or two really bother you that much? It will eventually blend in to the background like all of the other corporate logos that are crammed down our throats while watching a game. It’s fine to not like the idea at all, but are you really going to stop being a San Jose Sharks fan because Google bought a spot on the jersey and you’re a loyal Bing user? Will it bother you to the point of not watching games anymore because Purina has a 3 inch x 2 inch patch on the shoulder of a St. Louis Blues jersey? The sport has survived two lockout shortened seasons and an entire season of inactivity in the past twenty years, and it’ll survive the outcry against ad space on the jerseys too.